CNAs, or State Tested Nurse Aides (STNAs), as they’re called in Ohio, work in clinics, hospitals, nursing homes, and patients’ homes. Although they have numerous responsibilities, such as setting up equipment and prepping patients for medical procedures, they cannot treat patients or administer medication. They answer directly to their licensed nurse supervisors and cannot act without direction. While the role may seem limiting, becoming a CNA is one of the easiest routes into nursing. CNAs benefit from the experience gained in a growing field where there are numerous opportunities. Nurse assistant training is the first step for most CNAs. The Ohio Department of Health governs the training and licensure of STNAs. Nurse assistant students are eligible to challenge the state exam for inclusion on the STNA registry only after successful completion of a minimum 75 hours of state-accredited training. The free nurse assistant training at Menorah Park Center for Senior Living is specifically targeted to individuals who are interested in a career as a nurse assistant. Students learn the roles and responsibilities of STNAs, including patient care, nursing skills, feeding and nutrition, communication and vital signs. Applicants must complete an online application and questionnaire. Those selected will need to present a copy of their high school diploma or GED and two letters of professional reference. Other prerequisites include freedom to work flexible hours, compassion for the elderly, no criminal convictions or drug use, and a solid work history. Classes meet Monday through Friday from 8:00am to 3:00pm for three weeks. The training comprises of 11 classroom sessions and 4 clinical sessions. Graduates are qualified to sit the state certification exam in preparation for employment at Menorah Park. While the training is completely free, students must supply their uniforms for the clinical rotation. The STNA program at Cuyahoga Community College prepares students for the state certification exam through 108 hours of training. Apart from the structured curriculum, students benefit from additional instruction in CPR, home health care, and first aid. After completing the classroom and lab training requirements, students must complete at least 16 hours of supervised clinical rotation – weekday and weekend schedules available. Applicants must have at least an eight-grade math and reading level, clean criminal background, documented evidence of good health and negative TB test or chest X-ray. Total training cost is $1070 inclusive of tuition, CPR certification, instructional materials, and background check. Students are responsible for purchasing navy blue scrubs, watch with a second hand, white shoes and the state certification exam. Med-Cert 76-hour nurse assistant training program prepares students to take the Ohio State Board of Nursing exam. The curriculum includes classroom, lab and clinical rotation plus CPR – included at no additional cost. Classroom lectures cover topics such as residents’ rights, basic restorative services, infection control, emergency procedures, mental health, basic nursing skills, personal care skills, nutrition, death and dying. A high school diploma is not necessary. However, applicants must be in good physical health and free from TB. The results of a criminal background check must be submitted by the second week of classes. Tuition is $475. Financial aid is not available, but a flexible payment plan is afforded to all students. Heart to Heart offers STNA training to prepare students for state registration. After completing the 75-hour program, students can take the state competency exam at Heart to Heart’s facility. 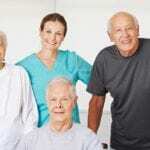 The curriculum covers 59 lecture hours and 16 hours of clinical experience at a long-term care facility. Applicants must be 16 years or older, be able to read and write, pass a background check, take a 2-step TB test, and present a physical exam report not older than one year. Students must wear navy blue or white uniforms for the class. Tuition for the program is $300. Star Training hosts day and evening CNA classes to accommodate adult learners. The class size is limited to a maximum of 18 students to ensure optimal learning experience. The curriculum covers 76 hours of instruction: 60 hours of theory and hands-on lab and 16 hours of clinical experience at a long-term care facility. Course topics include basic nursing skills, personal care, feeding and nutrition, CPR, medical terminology, anatomy and physiology, infection control, vital signs, communication and interpersonal relations, patient transfers, and hospice care. Class times are 8:30 am to 3:00 pm for two weeks. Tuition is $375 and includes course study notes, CPR certification, D & S Skills Handbook, and program instruction. Larock Academy hosts an Ohio Department of Health approved STNA program in the Greater Cleveland area. The program covers 83 hours of classroom and clinical instruction to prepare students for the fast-paced health care field. Graduates also have the foundational knowledge to enter nursing programs. The class size is limited to support optimal learning. Experienced instructors cover basic nursing skills, patient safety, the role of the nurse aide, personal care skills and other essential topics to prepare students for success on the state test. Classes meet Monday through Thursday from 5:30 pm to 10:00 pm for 3.5 weeks. The tuition is $470 and includes all learning and lab materials. The 75-hour, 2-week STNA program at Solutions Premier Training Services is conducted with the approved of the Ohio Department of Health. The training includes classroom lectures and clinical learning experiences in a long-term care facility. Graduates are eligible to sit the state licensure exam. Applicants must be 18 years or older, obtain TB clearance, have a state ID, submit to a background check, be able to lift, push or pull at least 40 pounds, and submit a physical exam report. Although is high school diploma is not a requirement, students must possess basic reading and writing skills. Classes meet Monday through Thursday from 5:30 pm to 9:45 pm for 4 weeks. Tuition for the program is $479. The comprehensive STNA training program at Phoenix Healthcare Institute is approved by the Ohio Department of Health. Students can complete the 75-hours of training within 2 to 4 weeks and become eligible to take the state exam for licensure as an STNA. The exam is available on site. Graduates have the knowledge and competency to work in hospitals, clinics, and long-term care facilities. The curriculum is divided into 55 classroom hours and 16 clinical hours in a long-term care facility. Course topics include infection control, communication and interpersonal skills, safety and emergency procedures, resident rights, basic nursing skills, personal care skills, resident independence, personal care skills, basic restorative services, and mental health and social service needs. Students receive First Aid Certification, CPR Certification, and Blood-borne Pathogens Certification. Tuition costs $495.